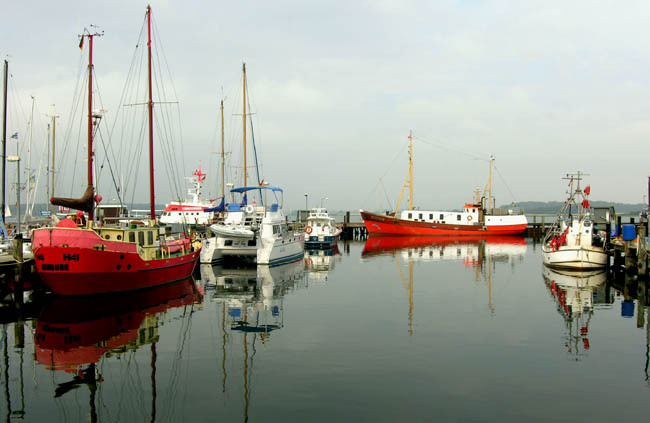 The commercial harbor in Maasholm, GERMANY! 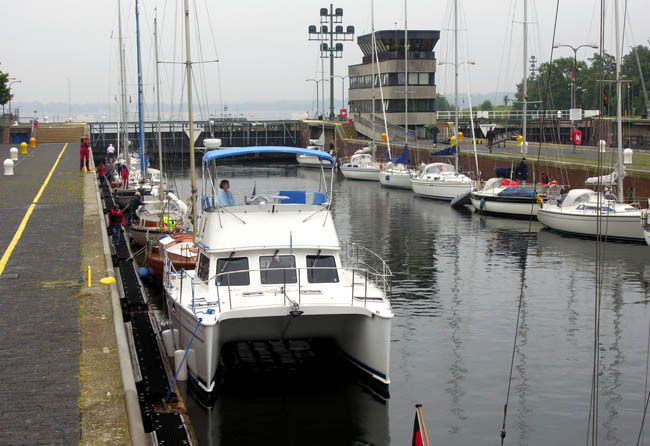 A welcome change from the crowded marinas in Denmark. We stopped for the night part way through the Kiel Canal at the pretty town of Rendsburg. 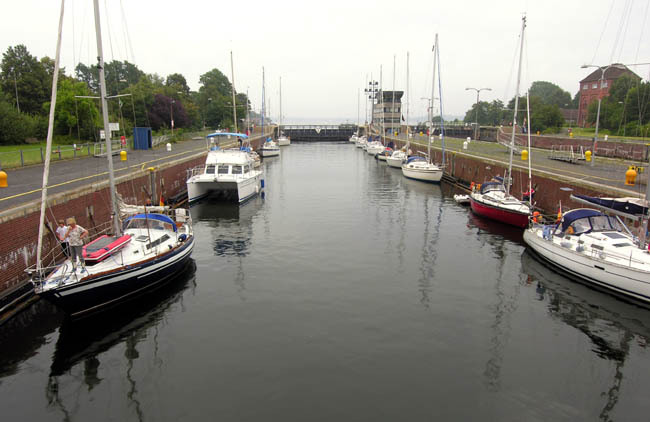 Then we continued on out through the locks into the River Elbe and on to Cuxhaven - where we met up with Watermelon & Horizons. and headed for Maasholm. 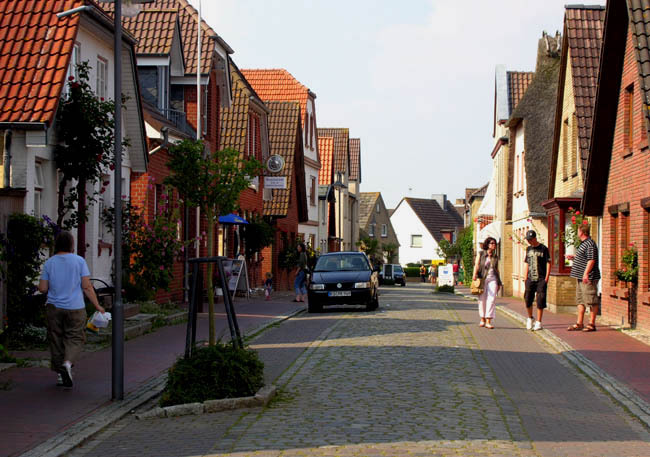 Less crowded than the popular Danish resorts, this town had a distinctly German feel. Although friendly enough, we noticed immediately that English was not widely spoken here. 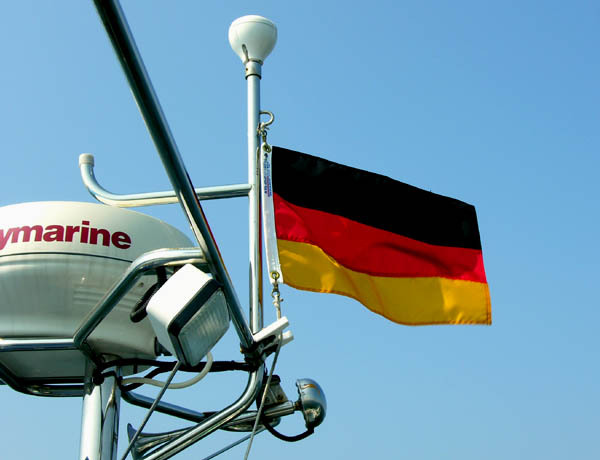 The next day, we headed south to the Kiel Canal. 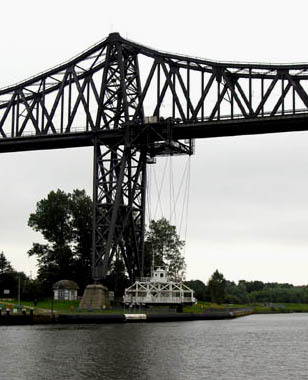 The Kiel Canal is known for its interesting bridges - they come in all sizes and shapes. This bridge supports a hanging ferry (!) which crosses the canal suspended on cables. It carries cars as well as people. 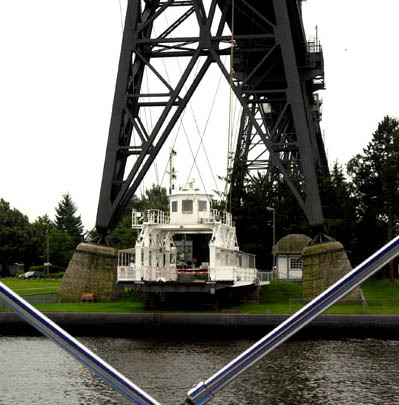 The cable-suspended ferry which crosses the Kiel Canal - without ever touching the water! 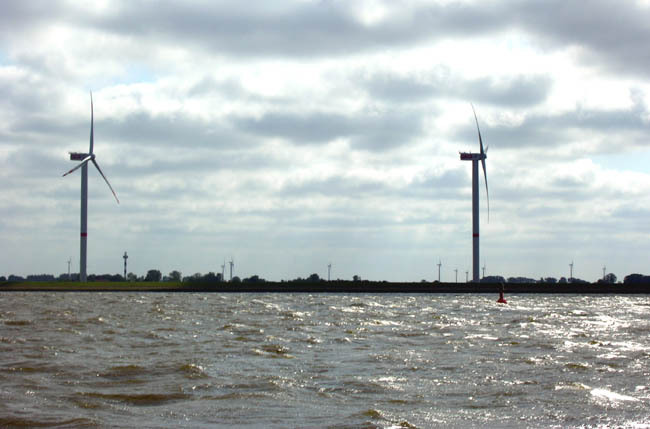 The Elbe river opens out into the North Sea. When the current runs against the wind, it gets rough. 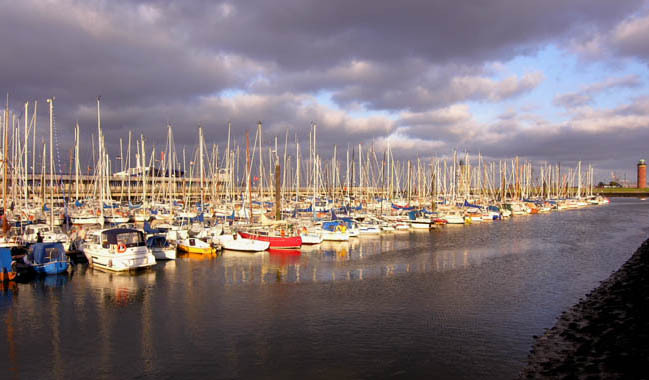 The very crowded marina at Cuxhaven at sunset. People (incl Watermelon & Horizons) were waiting for the wind to subside. The last time we'd seen another PDQ was in Gothenburg where we spent a week waiting for the winds to subside. Waiting there with us were Horizons, Watermelon and Rhumb Line. 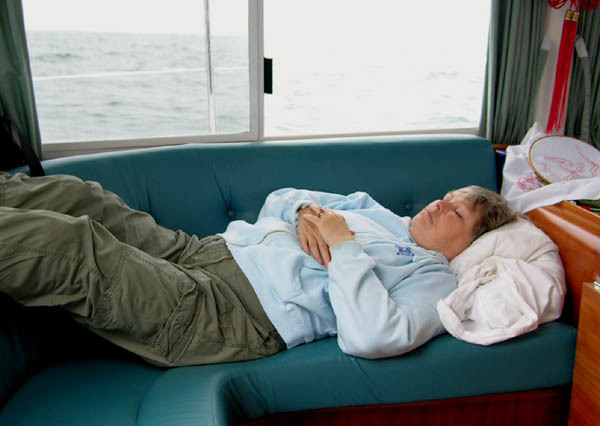 The others had fallen behind a bit as they elected to spend more time cruising the Swedish achipelago before heading into the G�ta Canal.